Next season is one step closer this morning when at 9am the fixtures for the 2011/12 campaign are released. Rumour has it we'll play Newcastle away on the first weekend of the season, with our last game of the season being QPR at home. The official site will have full details later. It appears we are closer to the signing of Gervinho. It is expected Arsenal will wrap up negotiations with the Ivory Coast international this weekend so that they can announce the deal early next week., according to the Daily Express. The paper says Samir Nasri approves of the deal - so that might help him make his mind up on signing a new contract with the club. 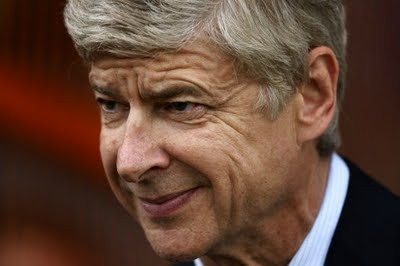 Wenger is expected to meet Nasri's agents in the south of France before heading back to the UK. Wouldn't it be a great win and sign of ambition for the club that both Cesc Fabregas and Samir Nasri (new contract signed) stayed in north London this summer. Wenger has always said at the end of each season his aim was to keep this group of players together and you can now understand how hard that can be. The only issue I have is that Nasri is in a stronger negotiating position than the club. Had he been given an ultimatum last summer, he would have probably have signed. I hope that is one of the issues the club is looking at this summer with the contracts of Robin van Persie, Theo Walcott and Johan Djourou. According to the Daily Mirror, we're closing in on the signing of Christopher Samba. It appears that he is now ahead of Gary Cahill in the pecking order, according to The Times and you would think that one of the main reasons for that is because of the price Bolton have put on the England international. Shaktyar Donetsk's have turned down our offer for Brazilian midfielder Douglas Costa, with Wenger offering Denilson as bate according to the Daily Mail. Samuel Eto'o is looking for club's to make him an offer as he's looking for one last big contract before he retires. The Cameroon international is on £185,000 a week and isn't best of friends with Alex Song. Both Eto'o and Song, along with Assou-Ekotto have been charged by their country for an incident surrounding their country's defeat to Senegal. Personally, I think Eto'o would be a great addition to the squad but there is no way we'd be able to match the salary he's on at Inter. The Sun say we're after 17-year-old Bayer Leverkusen striker Samed Yesil. Finally, the Barcelona president Sandro Rosell say's because of "wear and tear" Cesc Fabregas isn't worth the £36million they offered for him last summer and instead the Spanish champions won't be offering that figure this time round when they finally get round to faxing over their offer. Talk about disrespectful. Poor Cesc is being treated like he's heading for the knackers yard. Yet he's just turned 24 and about to hit the prime years in his career. Rosell needs to get a reality check. Fabregas is worth £50million at least being the best midfielder in Europe and Arsenal should and will not accept a penny less.